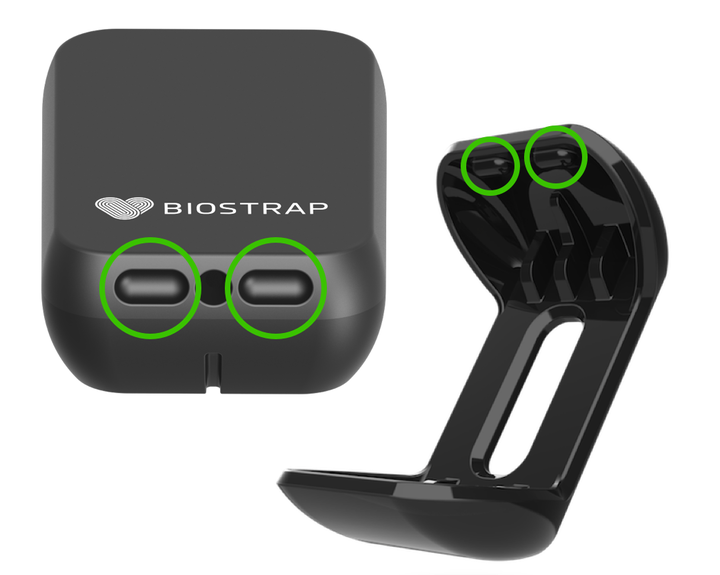 How do I wear my Biostrap Devices? 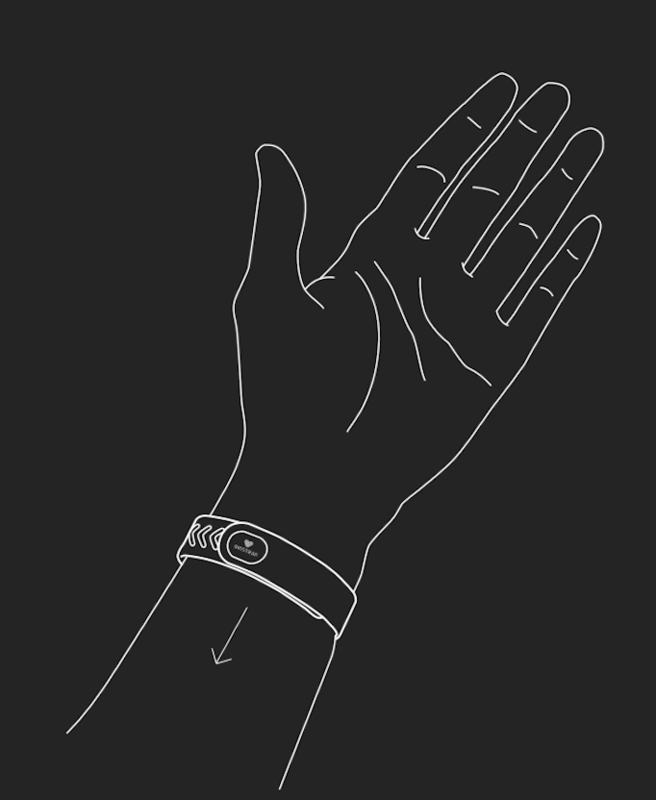 Wristband is directional when it comes to exercise recognition. 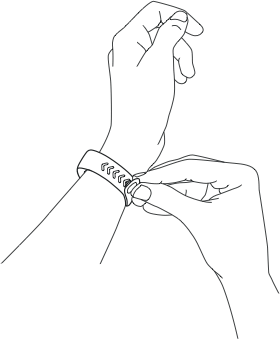 When recording your workout session, you must wear wristband on the same hand (either left or right) and must be wrapped in the direction (with "Biostrap" reading face up, left to right). Failing to do so would result in inaccurate exercise classification. 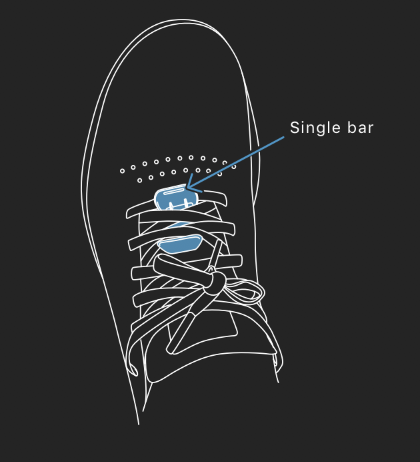 Shoe-Clip is NOT waterproof, it is only splash-proof. This means it's okay to get caught in the rain with it, but submerging it in water wouldn't be a good idea. Shoe-Clip is needed ONLY when you are recording a workout session. 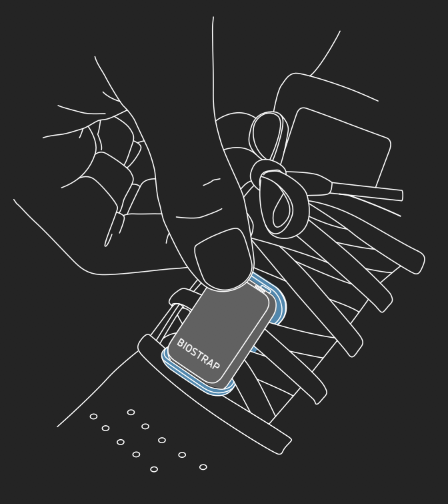 For recording biometrics or sleep, you need to wear wristband only. You can wear wristband on either hands. 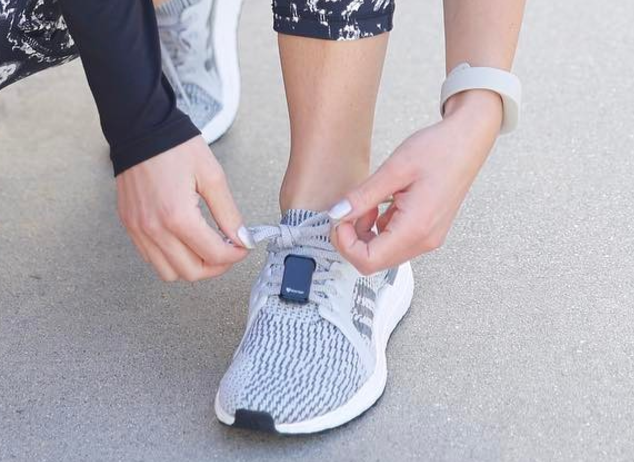 You must make sure that band is tightly snugged on your wrist such that there is no gap between the wristband-sensors (located underneath the band) and your wrist. You MUST wear both the devices to record your workout. You must make sure that you wear both the devices in the same way as when you trained the gym exercise. 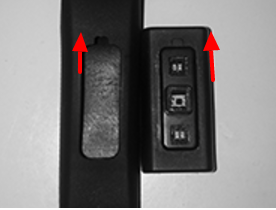 Any variation (example: changing the side you wear the wristband) would result in misclassification of the exercise. While recording the exercise, it is OK to wear wristband little loose. It does not have to be snugged tightly. The shoe clip is directional. 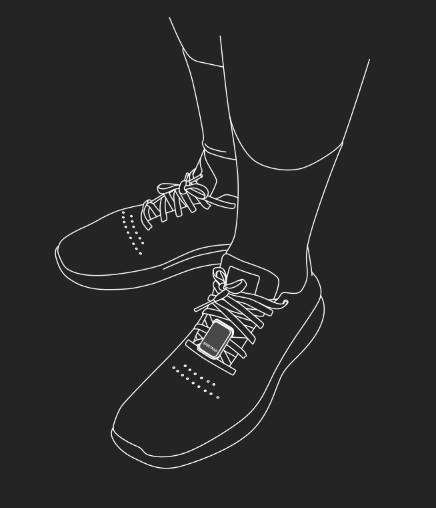 Place the shoe clip harness beneath several rows off laces so the single bar is visible as shown below. It does not matter what side you put the shoe clip on, as long as you are consistent every time you wear it. This is especially true for activity classification and training new activities.